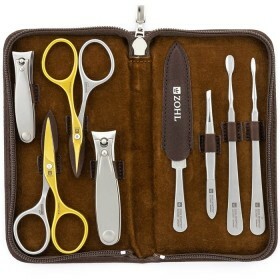 Zohl mens pedicure set offers the highest quality podiatry tools for the man with rugged feet and tough toenails. 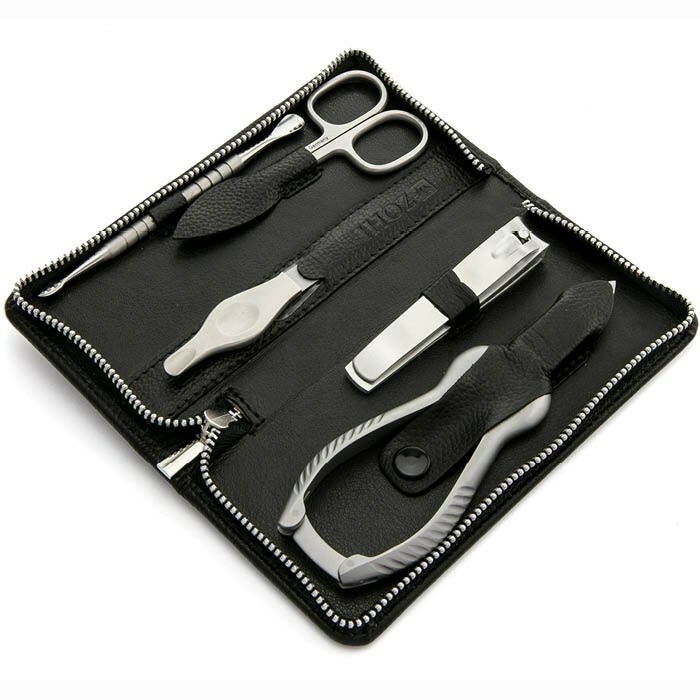 Crafted in Germany for heavy duty clipping, it includes the best professional nail clipper to trim very thick nails, a toenail clipper for regular nails or larger fingernails, nail file, pointed manicure scissors and cuticle pusher combined with cuticle knife. All instruments are made of high quality hot forged stainless steel which means they will give a lifetime service, with proper care, without any need of sharpening. 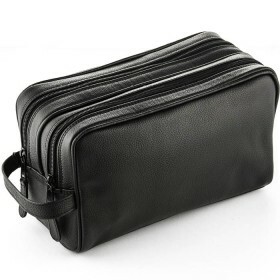 Classic black leather case, offset with contrast white stitching, securely closes with a metal zipper and makes the best gift for a person who likes high quality manicure and pedicure instruments for well-presented nails. 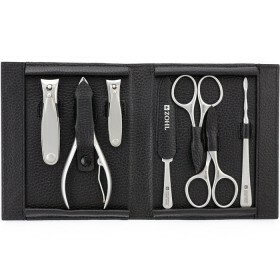 Comprised of the best German nail clippers and a variety of high quality nail care instruments, Zohl introduces the best pedicure set for thick toenails. 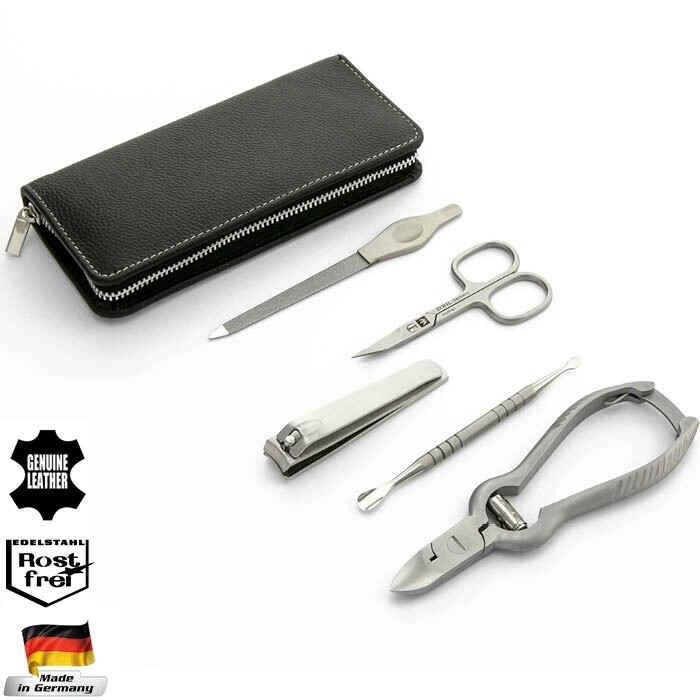 Made in the Germany - the capital of the world's best cutlery, this set is the winning solution when trimming tough, strong or very thick nails requires specialised podiatry tools. Manually honed blades are very sharp and precise - exactly what professional podiatrists like when it comes to the best pedicure instruments. Stainless steel nail instruments are made of very strong and rust proof Inox steel with matte satin finish. The benefit of hot forged steel is that it keeps blades sharp for many years without any need of sharpening, and allows clean, easy cuts, time after time. 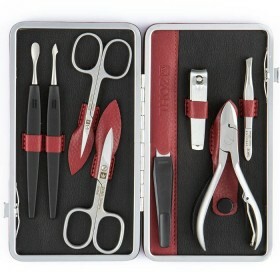 With proper care, this set is meant for long lasting use and best nail presentation. 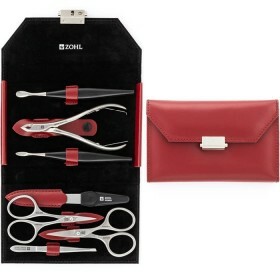 The feature of the Zohl Classic Inox pedicure set is the Heavy Duty Toenail Clipper made to trim very thick toenails with ease. 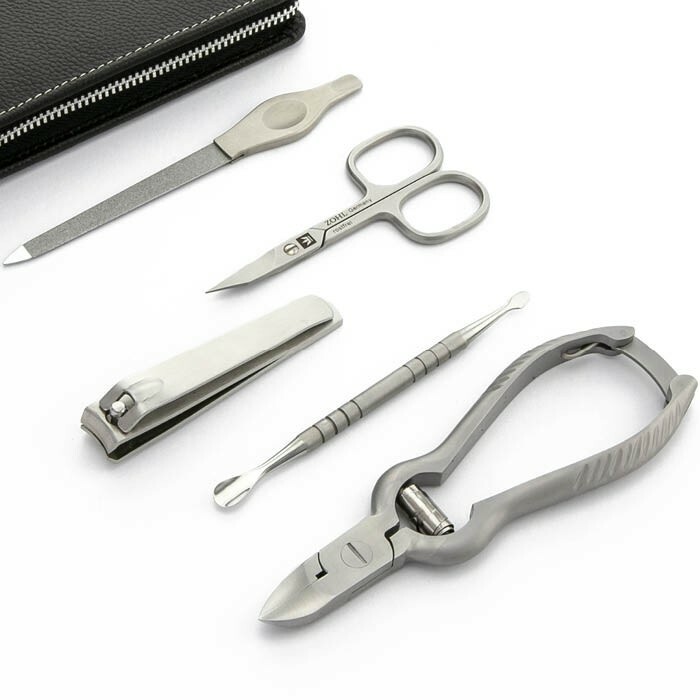 Its jaws are angled and concave, so your cuts are executed with mastered style and precision.The blades are also specially shaped so that you can access between the nail and the skin with delicate ease. To keep your instrument in top condition, this clipper comes installed with a lock plate, securing the jaws together and ensuring that the blades are protected. Cuticle Pusher Combined with Cuticle Knife (11.5cm). The head of the cuticle pusher works great on larger fingernails or toenails, while the non-slip grip provides comfortable handling and optimal control when removing cuticles with the cuticle knife. 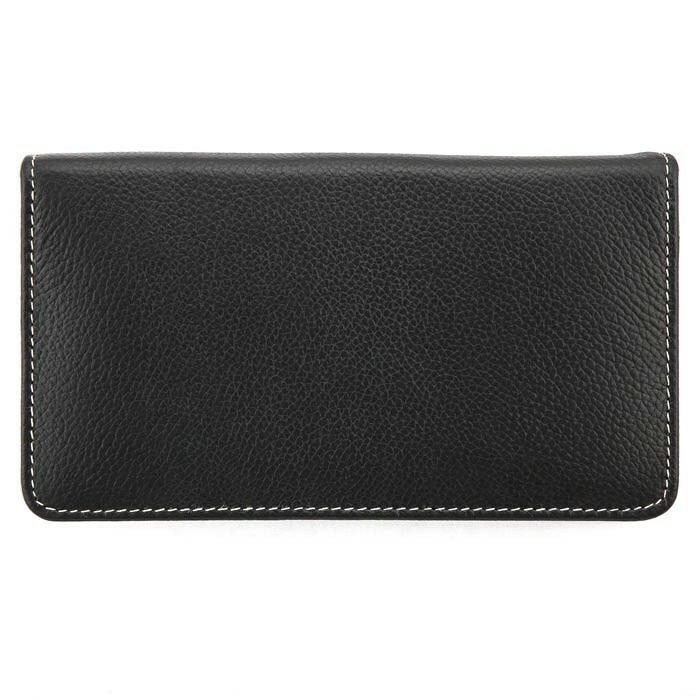 All tools elegantly nestle in the black leather case secured with a robust metal zipper and detailed with contrast white stitching on the outside. 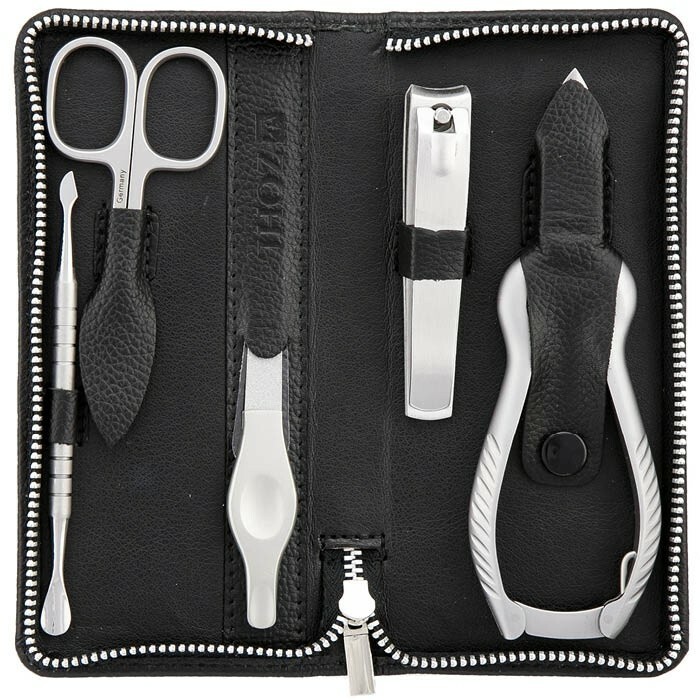 If you're seeking high caliber craftsmanship and high-tech design, you can trust that the ZOHL pedicure set will hold your nails in good stead. It has everything you could think of for complete nail care and is perfect for the person who wants the best in life. Great as a gift, too. Case measuremens (closed): 16.5 x 7.5 x 2.5 cm (closed).